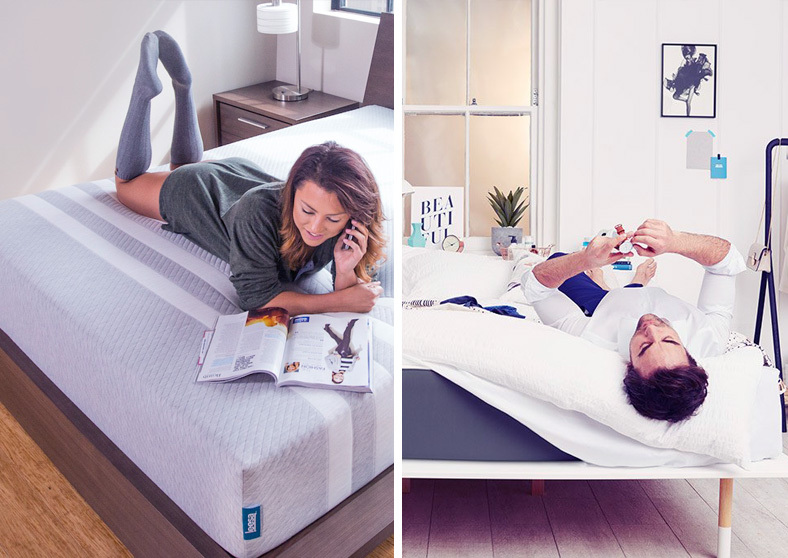 Home » Comparisons » Leesa vs Simba Mattress – Which One is Really Better? This article compares Leesa and Simba. 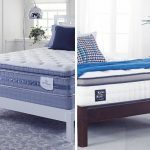 Both are top mattress brands and may look similar at a glance, but they are different from each other in many aspects. Everyone has their own distinct requirements when it comes to mattresses. Some prefer their mattress to be firm, while others like relatively softer ones. Everyone has different sleeping positions as well. So it gets more complicated to find the right mattress the more you look into your needs. When it comes to choosing a mattress, research is very important. 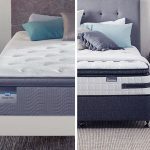 We will help you choose the right mattress for your needs by offering reviews of mattresses available on the market as well as the comparison between the most popular ones. The cover of Leesa has been cut out from the fabric known as Poly-Lycra. It is breathable and allows continuous airflow thanks to the tiny pores on this not-too-thick cover. Furthermore, the cover looks quite appealing, attractive, and decent and is also very soft and plush to touch. It also has a zipper that allows it to be easily removed, however, it is not recommended that you remove it for washing because this may shrink it. The cover of Simba is 100% polyester. It’s stretchy and thin, making it cooling friendly. Furthermore, it packs the mattress very well and also feels nice to the touch. Although the cover is relatively thin, it is strong and sturdy. Its design is pretty basic but contemporary. There are three distinct layers of the Leesa mattress and each of them has its own unique properties. The top layer is made from Avena foam which is two inches thick. This layer allows continuous airflow which makes it great for individuals who tend to be warm when they sleep. The middle layer is also two inches thick, however, it is made of high-density memory foam. It helps provide maximum comfort to the body. The third or bottom layer is six inches thick and is made of high-density foam. The main purpose of this layer is to provide support. All the layers are made of high-quality material. The Simba mattress has four layers. The top layer is 1.5-inches thick and made of Simbatex, comprising synthetic latex with some natural balm and soybean oil for cooling. The second layer is 0.8-inches thick and is made of conical pockets. It consists of springs that adjust to your body and offer great support. The third layer is 1.4-inches thick and is designed to offer support and comfort. It is actually a Visco memory foam layer that has high molding properties. The fourth layer (also called base layer) is 6-inches thick. It is a firm, low-density layer so it allows for good airflow which is rare for the base of the mattress. The Leesa mattress has been designed to offer the medium level of support and firmness and it is ideal for many people as the majority of them prefer this level of comfort. This balanced level of support and comfort makes the Leesa mattress ideal for people with different postures and positions of sleeping. Simba mattress has been designed to fit most people’s needs. It is one of the softer feeling mattresses available on the market and is suitable for all sleepers. Regardless of the position you sleep in, Simba offers softer feel than many other brands including Eve, Bruno, and Casper. Apart from offering a softer feel, the mattress also has good support and molding properties. The Leesa mattress is much cooler than other mattresses available on the market. This is because its top layer is constructed from Avena foam. As mentioned above, this material is great when it comes to airflow and breathability so it keeps the mattress from retaining your body heat. As mentioned above, Simba mattress has a top layer made of Simbatex. It has less heat retention than poly foam. Furthermore, it also allows for good airflow. So if heat retention is an issue, then Simba is a right mattress choice for you. Trial Period The Leesa mattress comes with a 100-day in-home trial period. The mattress comes with a 100-day in-home trial period. If you are not happy with the product within this trial period, then Simba will collect it free of charge and will give you a full refund. Warranty The product comes with a 10-year warranty, which means it has been constructed to last. The mattress is fully replaceable in case it does not live up to that warranty. Simba mattress comes with a 10-year full money back guarantee. This shows how much the company is confident about the quality and reliability of their product. 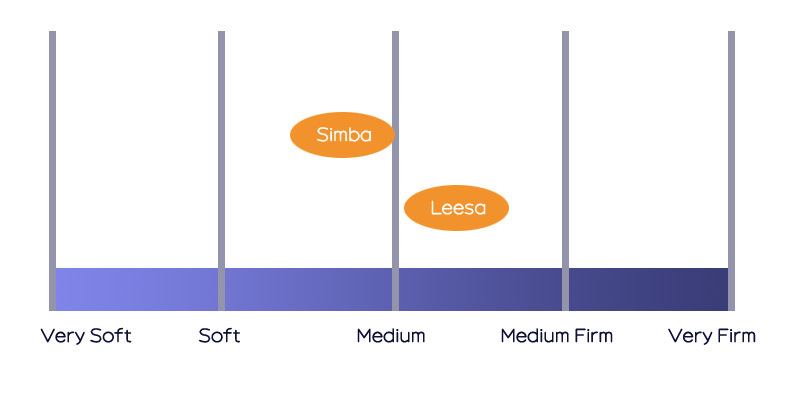 Leesa and Simba are two of the most popular mattress brands and they have been in the industry for quite some time. Mattresses from both brands are quite different from one another when you look under the cover. Although both mattresses are 5cm in depth, they are constructed very differently. Leesa mattresses feature three layers. The top layer is 5cm thick and has cooling properties. The middle layer is also 5cm thick, but it has been designed to offer needed comfort to the body. The bottom layer is 15cm thick and has been designed to keep the mattress in shape by providing core support. You will like Leesa if you share a bed with someone as you are less likely to be disturbed. Simba mattresses have four layers. The top layer is 5cm thick and has been designed to provide most of the cooling, comfort, and bounce. The second layer is 2cm thick and features microcoils that help provide contour to the sleeper. The third layer is 3cm thick and acts as a transitional layer between the microcoils and foundation. The bottom layer is 15cm thick and provides core support to keep the mattress in shape. You will like Simba if you want a mattress that is relatively bouncier. Leesa mattress gives a distinct ‘new mattress’ smell when you take it out of its packaging. However, the smell does not last very long and should disappear within a short period of time. Some consumers of this brand have reported unpleasant off-gassing and odor issue, but the odor is relatively minimal as compared to other mattresses. As compared to Leesa, Simba mattresses have a noticeable initial smell. It may take a relatively long period of time to completely disappear, but it does eventually. The smell is not completely off-putting, so most consumers would be fine with it. Both mattresses are eco-friendly and CertiPUR certified. Overall, Leesa offers relatively cheaper mattresses than Simba. However, both brands have strong selling points and offer good value for money. Leesa would be a suitable choice for you if you are on a budget and want to buy a high-quality mattress. Their mattresses offer great comfort in any sleeping position and their light bounce properties keep them responsive and comfortable. Simba would be a suitable choice for you if you want to buy a mattress that offers medium level firmness and good edge support. They are hybrid mattresses that offer good support. They are also relatively bouncier than Leesa, making them a more suitable choice for couples.